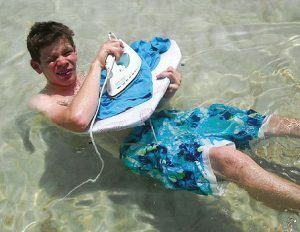 Extreme ironing, dubbed as “a danger sport that combines the thrills of an extreme outdoor activity with the satisfaction of a well-pressed shirt” involves ironing clothes in remote or unusual locations and is alleged to have started in Leicester in 1997. The unusual sport is now practiced all over the world, including USA, Australia and Germany. All you need to try out this activity is an ironing board, a shirt and an iron – it’s then about planning a route to go on or locations to visit. You could do this as part of a walk or challenge, extreme ironing has been seen on the Underground in London, on rooftops, on top of hills/mountains and many other locations. Take a look online to see some of the extreme locations people have already taken this sport, and then see what ideas your young people can come up with. Remember that a risk assessment must be carried out to ensure the activity is safe for all participating.